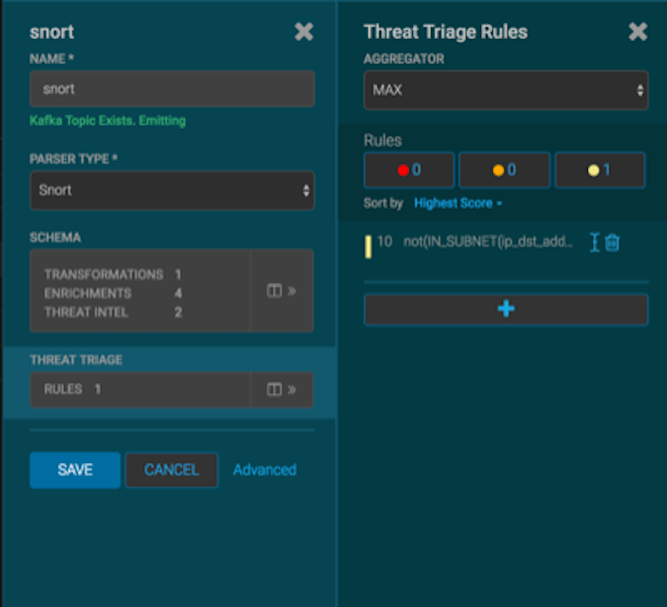 You can use the Threat Triage field in the Management UI to assign basic threat triage rules and scores. To specify more granular triage rules, you need to specify the information with the CLI or the Advanced JSON field in the Management UI. Ensure that the enrichment is working properly. On the sensor panel, in the Threat Triage field, click . To add a rule, click +. Assign a name to the new rule in the NAME field. 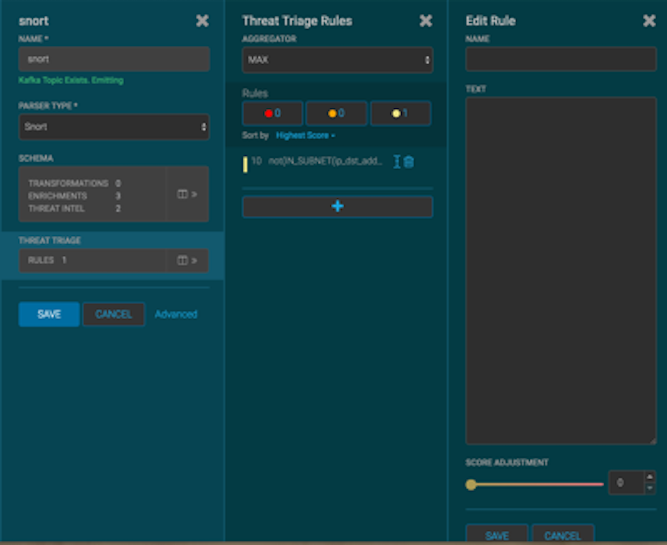 If you want to filter threat triage display, use the Rules section and the Sort by menu below it. For example, to display only high-levels alerts, click the box containing the red indicator. To sort the high-level alerts from highest to lowest, select Highest Score from the Sort by menu.